Pretzels have been a snacking companion to cold beers for ages. Combining them into a candy? Absolutely, without-a-doubt, genius. 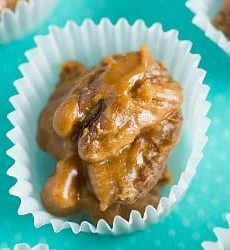 Caramel is made with one bottle of beer, part of which is added directly into the caramel and the other part reduced down to a concentrated teaspoon that takes the place of something like vanilla extract. The caramel is cooked to the firm ball stage, which keeps it softer and chewier after setting so it won’t pull your teeth out. 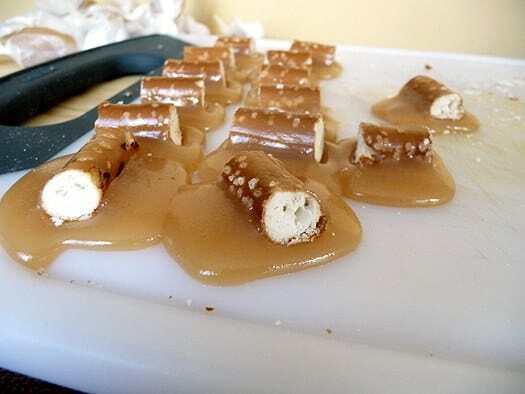 The caramel is topped with pretzel rods and once set, cut into little bite-size pieces. These are full of amazing complementary flavors and textures. Soft caramel and crunchy pretzels… sweet caramel and salty pretzels… And full disclosure here – these are tremendously addicting. Eating piece after piece without realizing that you have downed at least five is entirely possible, and very likely. Don’t say I didn’t warn you! This was actually my very first time making caramel. I was a tad bit nervous but so excited that it came out exactly the way it was supposed to! I had my trusty candy thermometer attached to my pot and just made sure I kept a close eye for when it hit the “firm ball” line. I think that these are great candies to make for the holidays for all of the men on your Christmas list. It’s a manly kind of candy, and these would be perfect in a little festive bag or tin as a stocking stuffer or a homemade present. The caramels got a big thumbs up from my Chief Culinary Consultant and his brother, so they are officially man-approved! – Please be very careful when pouring the caramel into your pan! It feels like molten lava if it hits your skin. I got splashed on two fingers and the caramel immediately stuck to, and burned, both fingers. Nothing major, but it sure did hurt for awhile, so be careful! 1. In a small saucepan, bring 1 cup of the ale to a simmer and cooked until reduced and syrupy, about 20 minutes. This will yield about 1 teaspoon of concentrated ale flavoring. Set aside. 2. Butter a 9x13-inch baking pan or two 9x9-inch pans. Combine the remaining beer, both sugars, the butter, heavy cream and corn syrup in a heavy 4 or 5 quart pot. Cook over medium heat, stirring occasionally. The butter will melt and the mixture will begin to boil. 3. Continue to cook until a candy thermometer reaches 244 degrees F (firm ball stage). When the correct temperature has been reached stir in the ale reduction and remove from the heat. Pour into the prepared pan(s) and top with the pretzel rods. 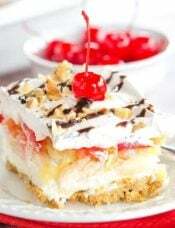 Let cool for several hours or place in the refrigerator until firm. 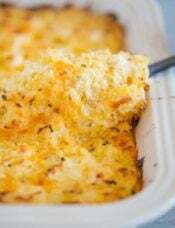 (If refrigerated, let sit at room temperature for about 20 minutes.) Remove the caramel block from the pan and place pretzel-side up on a cutting board. 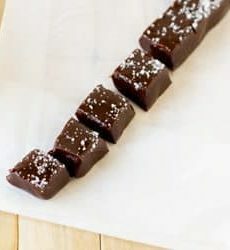 Cut wax paper into 5x5-inch squares and wrap caramels. 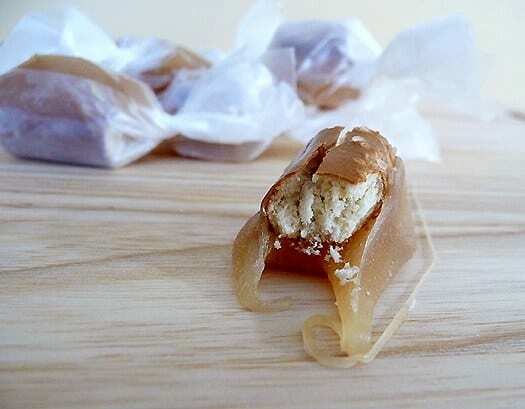 Note: Caramels must be wrapped or they will lose their shape (see example above). I’m curious… when you are bringing the caramel mixture up to temp do you mix or move it at all? I always get a gritty caramel and am wondering if you had that problem? Hi Melissa, I stir occasionally until all of the sugar is melted, then I generally leave it alone. Hey Mich…. long time reader/experimenter of BEB blog- first time posting. 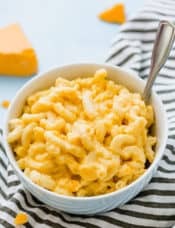 Ive tried a few other recipes youve posted and never had issue with the flavor. This one, however, was a bit of a puzzle for me. I followed your post to the T (though oddly my candy thermo lists the Firm Ball at 250F). Regardless, I made the extract as suggested, added it as directed. When the candy set, I didnt really taste anything. I was using a stout (Guiness) but still, I would have expected more flavor in this one. Not one to kick my backside like the college days of beer and pretz but still, a hint of flavor. I liked the recipe, no complaints on the concept but curious how to extract more flavor on this one without destroying the balance. Suggestions? Thoughts? I’ve been really enjoying your site! 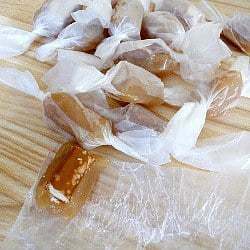 So many great tips for candymaking…here’s a tip I learned from caramel wrapping – use parchment paper! It doesn’t stick to anything, and more importantly, when you twist the ends, they STAY twisted! Also makes for a pretty presentation. Hi Elisabeth, Thanks so much for the tip! I’ll definitely try the parchment the next time I make candies! I’m so confused about the crushed pretzel thing and hamburger papers. if you lay the carmel on a pan, how are you then rolling into the other papers? would you cool the caramel on a sheet, then CUT? THEN wrap individually? Also, how do these stand up to room temp in the papers? I was thinking of shipping, but if they will melt at room temp, that may not be a good idea. Love your recipes by the way. i’m not even a “baker” or “sweets” person. But I love making things in the kitchen for other people. Hi Nay, The caramel is poured into a baking pan to set. 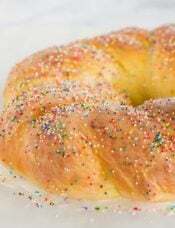 When you pour it in you put the pretzels on top and they will adhere to the caramel as it cools. You set the pan aside until the caramel is set (it will form one solid block). You then cut it into bite-size pieces and wrap each one individually as a candy. If you wrap them as soon as you cut them, they will hold their shape at room temperature. Wow, I just totally spaced…you were nice enough to let us use your Beer Waffles recipe last year. Just let me know what you think about the caramels, they look AMAZING! Would it be possible to feature your receipe on CraftBeer.com? One of our main goals is to elevate the status of craft beer and help to bring it back to the dinner table through parings and as an ingredient in food. I would make a post similar to this one: http://www.craftbeer.com/pages/beer-and-food/recipes/recipes-list/show?title=beer-bread-grilled-cheese-sandwich and include your photo/bio/link to your blog. Hi Meghan, Sure, thanks for checking with me. Let me know if you need anything for the photo/bio/etc. I made these but used dark brown sugar instead of light (Food Network Magazine had a recipe in their latest issue that is almost exactly the same as this except it uses dark brown sugar – so I decided to try it that way). They are SO good! The sweet and salty combo is heavenly. And the dark brown sugar really gives it a richness and goes so well with the beer! THANKS for all of the suggestions! Great trying the nuggets and the crushed pretzels. I can’t wait to try it! Thanks for the ideas about the hamburger papers, where do you buy those? I am so glad to hear that the caramels didn’t stick to the waxed paper. And I’d like to try the pre-cut burger papers. I’m all for saving time! I have some pre-cut candy papers that I bought so I could try them, too. One tip I have for anyone out there – I test my candy thermometer every time before I use it. I was making candy one year and it kept burning – I finally figured out that my candy thermometer was not measuring correctly. It’s ok if it’s off a degree or two – you don’t need to run out an buy another one, but you do have to adjust your thinking to what temp you are watching for. Then buy a new one when you have time. OMG!!! I just wanted to share my experience making these last weekend! I LOVE to bake but have always been too scared to make caramel. I saw this recipe and knew it was the one to try, so I whipped out my candy thermometer (which until now has only been used to measure water temp for proofing yeast :)) and a Dunkelweizen beer. It took me a while to get the mixture up to temp, but once I did, it was smooth sailing… I bought the pretzel nuggets instead of rods and, for experimentation purposes, decided to roughly chopped 2-3 cups worth. Once I poured the caramel into the pan, I placed a couple rows of “nuggets” on top, and sprinkled the chopped pretzel crumbs over the rest of the pan. Once cooled and cut, I wrapped some in waxed paper and some in hamburger patty paper (pre-cut!!!). I took some to my work, some to a party, and sent some with my husband to work… The concensus: everyone preferred the texture of the crushed pretzels, the caramels didn’t stick to either the waxed paper OR the patty paper (a nice plus since they are pre-cut and I’m a busy girl! ), and EVERYONE told me they were fabulous! 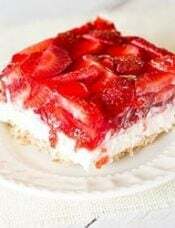 Several people asked for the recipe, and three people told me they would pay me to make them some, and I only bake as a hobby and not for a living :D This is truly a FABULOUS recipe and one that I will make more often (especially since it’s easy!). I hope my ridiculously long comment helps someone if they decide to make these – it’s WELL WORTH the time! 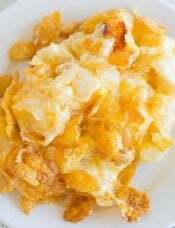 Hi Erin, Thanks so much for sharing your tip on the crushed pretzels! I will definitely try that next time! And I MUST get some of those pre-cut hamburger patty papers! Question: is the caramel supposed to wrap around the pretzel? All the pictures make it look like the pretzel is sitting on top. 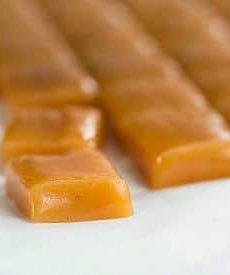 How big to you cut the caramels when you remove the whole block from the pan? Thanks a lot! I am looking forward to trying this! Hi Barbara, The pretzels will sink into the caramel just a tad when you place them on top of the hot caramel, so no the caramel will not wrap around the pretzels. When I turned the block of caramel out, I cut between each pretzel rod, and then cut each of those “strips” into 1-inch pieces. Thanks. I am making the salted caramel brownies as we speak. Every recipe on here looks great! Aw, thank you! Hope you liked the brownies! I can’t wait to try these! My son is a brewer without a sweet tooth but I think he might like these! 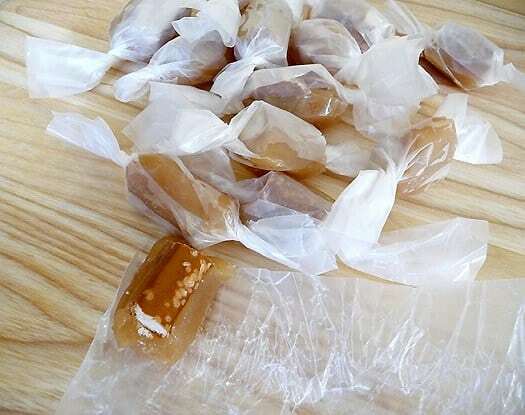 I have made caramels before but in my experience when wrapped in waxed paper, they stick unmercifully. Was your experience different? Any suggestions? Thanks – I am really enjoying reading your blog! Thanks for your response, Michelle. Maybe it was the particular recipe I was using. I’ll try these with regular waxed paper and see how it goes. Oh. My. STARS. Caramel, pretzels, beer? Let’s dip them in chocolate and call them World’s Perfect Food! I just came across this blog today, and I have to say I’m hooked! The product and cookbook reviews, the ‘best ofs’ and, of course, all of the amazing recipe! I’ll be checking back often! Hi Rachele, welcome to the site! So glad you are liking it, hope you visit often! I thought it was a twix bar at first…come to think of it , dipping these in chocolate would be super! Great post! Excellent idea! Chocolate makes everything better, right? Awesome, awesome, awesome. I’m dying to try this out with different styles of beer. Some dark Belgian beers are brewed with candied sugar and have a distinct caramel-y character…could be a great complement to the candy. Oooh love the idea of dark Belgian beers! These look seriously delicious – love the salty/sweet things!